Day 1 was interesting. I woke up excited to see what my ketone levels were, but it was my first time using Keto Mojo and, apparently, my blood doesn’t give up without a fight because I couldn’t draw blood. And I eventually decided to stop wasting strips. I mentioned it on my Instagram story, and I will say it was awesome to get feedback on the different methods people use to get blood flowing because what happened the next day? A reading! I feel like I should admit something: I’m about 80% lazy Keto. By this point, it’s easier to eyeball my intake but this new routine has forced me to really nitpick everything that’s being consumed. I’ve also forgotten how tedious tracking macros can be. Is it better to track raw or cooked? Volume or weight? So many variables can be involved with tracking, but trust me, it’s worth the attention it requires. Even if you’re not following a specific protocol, I highly recommend to take a day or two every other week to see where you are macro wise. It may be eye opening. Speaking of tracking what I consume, the topic of coffee came up. I don’t get bored with Bulletproof Coffee these days. If you would’ve asked me how much coffee I drank a little over a year ago, my answer would have been, “maybe a cup or two…a month.” Let’s get one thing straight though: I don’t like the taste of coffee as much as I like the taste of it after I add in everything. This usually keeps me going until after lunch. It’s not just real sugar that’s totally addicting or creates unhealthy habits. I love the desserts and other sweets I can have within Keto, but you, and myself included, still need to be aware of how much is eaten. Keto isn’t the magic bullet; calories still count. With that said, I recently tried out a recipe for Salted Caramel & Pecan Pork Rind Cereal. Yes, pork rind cereal. After giving it a try, I swear that I don’t need real cereal anymore. I can’t wait to be able to get back to these again. Recipe below. Anyway, I look forward to what the next few days will have in store and what the rest of the 14 day routine will yield. As of this morning, the scale showed a 2.8lb decrease, and although there are a lot of variables that can impact this, I’ll take what I can get! Thanks for dropping by! My name’s Joe and if you’re here, you’re probably also following my Instagram account (more on that later). Fast forward to 2018. 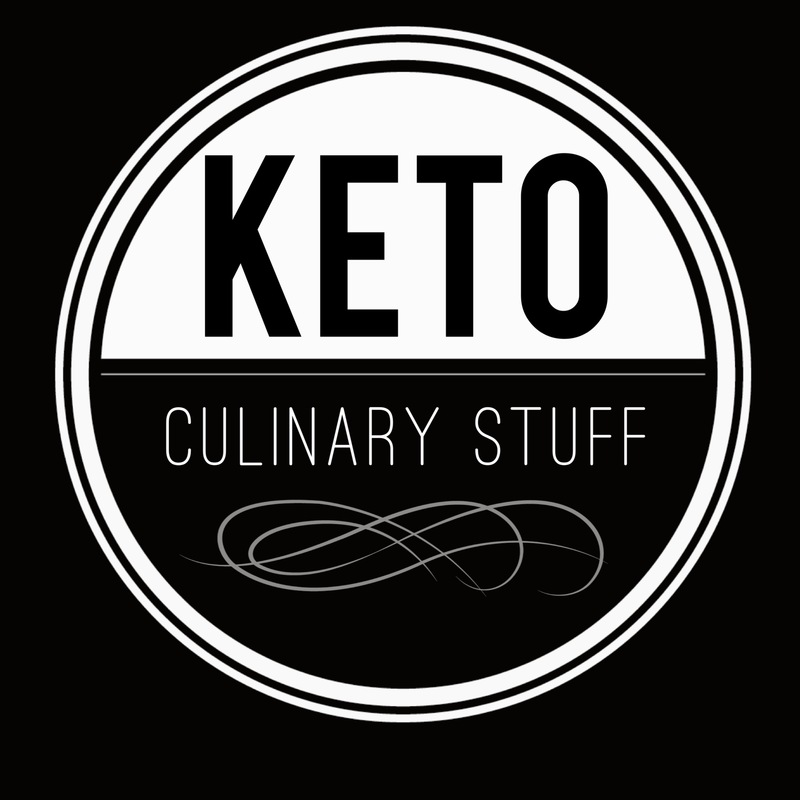 I changed my way of eating and switched to a Keto lifestyle and have found myself with a mildly successful Instagram account, KetoCulinaryStuff. There, you’ll primarily find foods I eat on a daily basis, the random quote post, and the occasional gym pic. After nudges from a few people, I decided to start a new blog to provide more insight on what I do behind the scenes. Here, you’ll mostly find food pics, but also some thoughts on the protocol, and what I’m most asked for — recipes. Now to the heart of this post. If you’ve scrolled through my Instagram feed, you’ll see a lot of beautifully plated foods that’ll make you wish we were neighbors so I could cook for you. Okay, maybe not. However, you’ll notice a lot of the foods are Keto versions of traditional carby fare. Although keeping my carbs low with these foods and hitting the gym on a daily basis has helped me shed almost 70lbs, I’ve recently toyed with the idea of moving towards a more whole food approach. While I really enjoy my Keto snacks and frankenfoods, I also want to see what other ways of eating will do for my body and health. I’ll be following a modified version of the Deeper State Keto 14 Day Meal Plan. Since I was late to the initial enrollment, I’m curious what the full 90 day course is all about, so this would be the best toe-in-the-water approach. I’ll be posting daily through my IG account and updating my progress on here as well. Feel free to reach out if you have any questions, suggestions, or advice. Thanks again for tuning in!